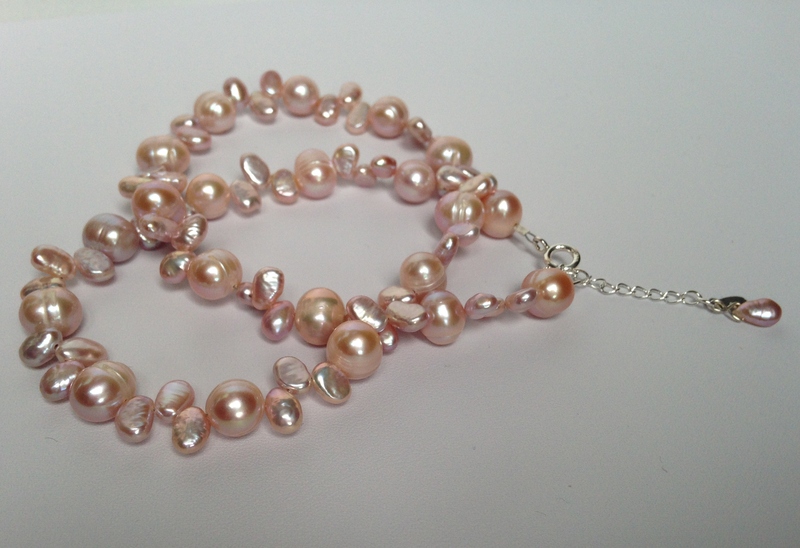 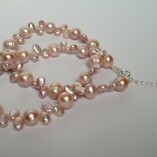 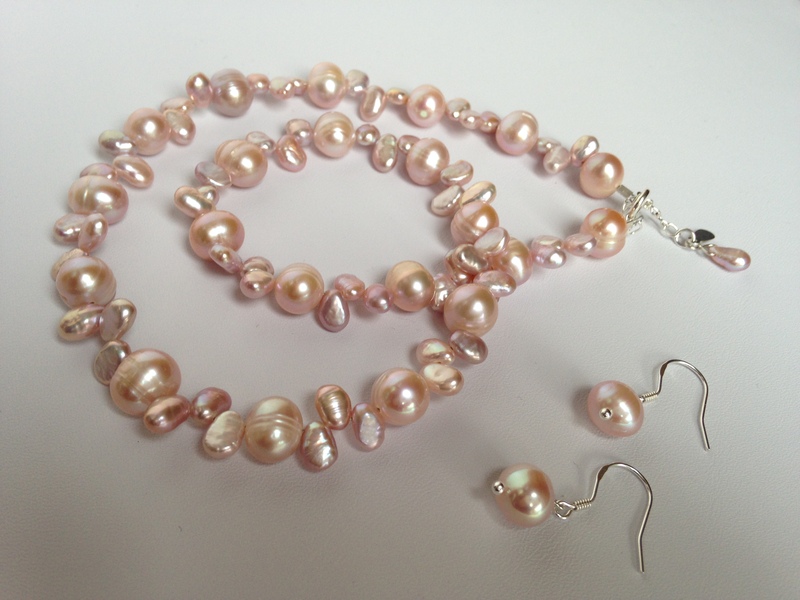 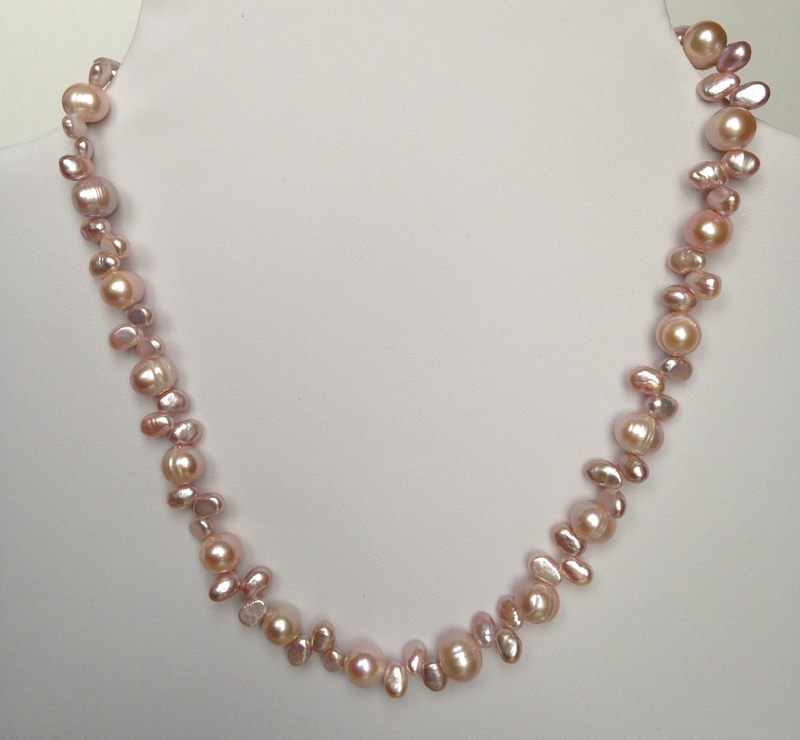 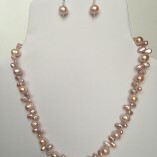 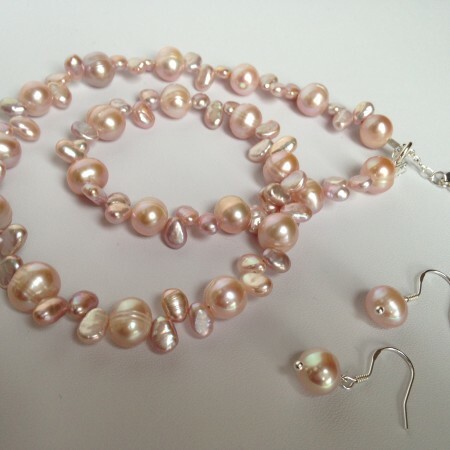 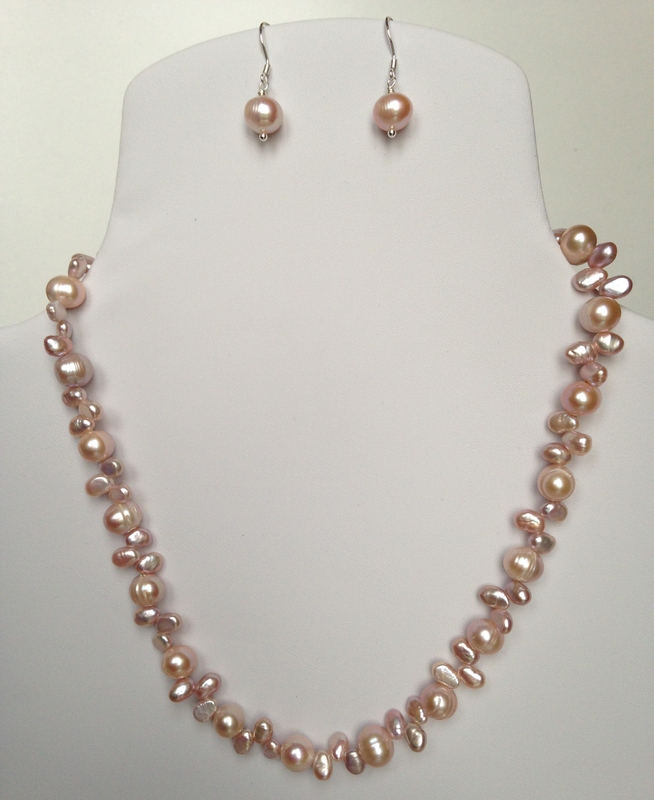 The beautiful necklace is made with two shapes of natural pink (not dyed) freshwater pearls. 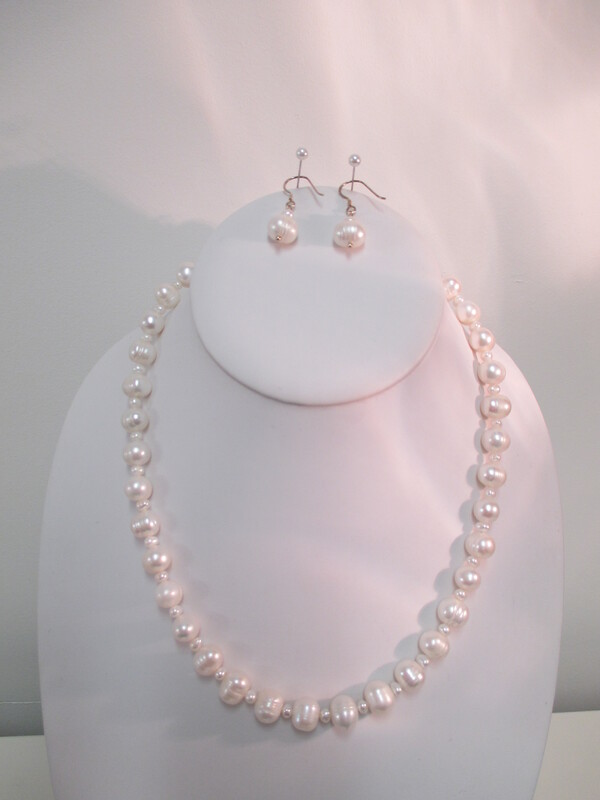 Between the larger pearls (9x10mm), I’ve put three smaller top-drilled pearls. 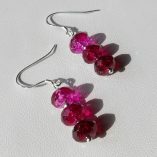 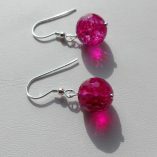 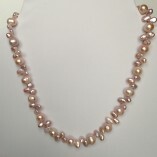 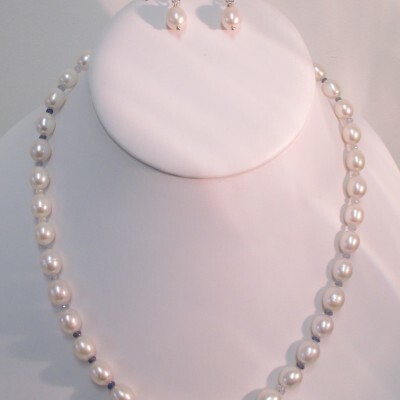 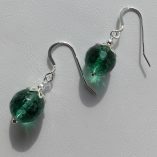 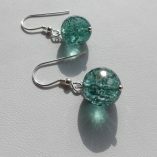 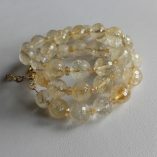 The stunning pearls have natural grooves and a lovely lustre. 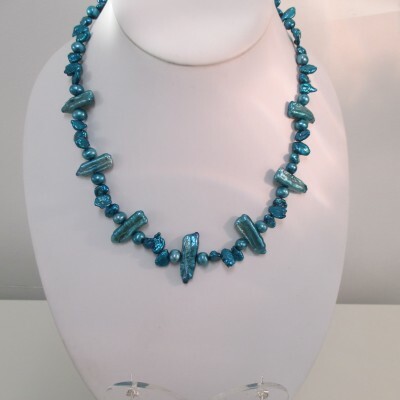 The necklace is finished with a sterling silver bolt ring clasp and an extension chain – and measures 17.5-18.5 inches (44.5-47cms) The matching earrings are made with sterling silver shepherd’s hooks.